We are excited to announce the launch of a brand new CD! The CD is a compilation of crowd favourites we've had fun performing over the years. A dinner reservation guarantees you a seat. 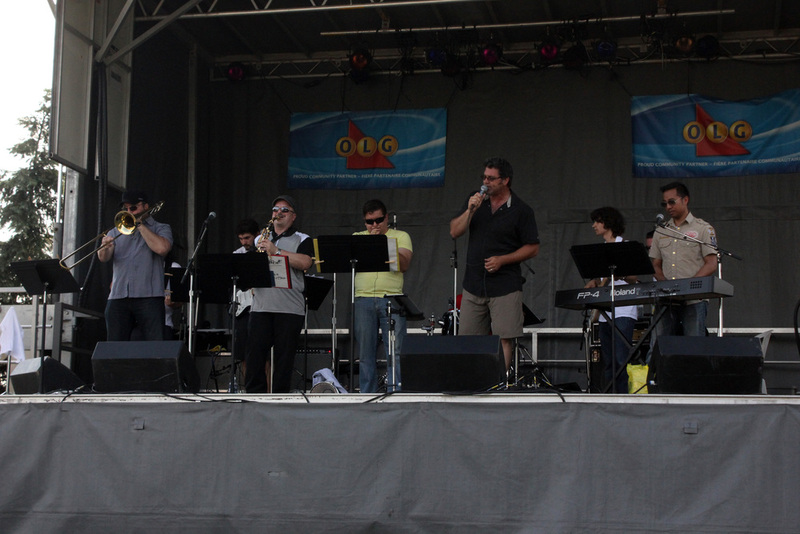 The Salida Project is a jazz influenced rock band, with horns. It's comprised of musicians dedicated to presenting music that is in the tradition of Chicago, Blood Sweat and Tears, Tower of Power, and Lighthouse. The group, led by Marco Marrone on Alto Sax, covers classic songs, interprets newer hits, and presents some original material. Formed in 2011, The Salida Project has put together a repertoire intended for wide audiences, particularly those include to jazz-rock fusion. The group is available for corporate events, club venues, and jazz festival performances. Marco is a musician and teacher fluent in many styles of music. He received a Bachelor of Fine Arts Honours degree in music from York University and a Bachelor of Education degree from the University of Toronto. A soulful clarinet and saxophone player, he has performed and continues to play with many musical ensembles throughout Toronto. He also teaches instrumental and electronic music at Blessed Cardinal Newman Catholic High School in Scarborough, a position he has held and loved for the past 27 years. As an electronic musician/composer skilled at using midi and digital applications, he has scored original music for short films and live performances. His influences range from Walter Beasley and Ronny Laws to Peter Gabriel and Daniel Lanois. R &B inspired grooves. These elements are merged with smooth jazz melodies and harmonies to produce work that is emotionally candid and reflective. The end result is an expression of an artist’s place in the world. Salida is Spanish for “output” and “exit”. So this record embodies a dual reality: The artist’s creative output of the past decade and a metaphor of one’s exit into the creative realm. Mark is an arranger, composer, and Latin and R&B session pianist. He has studied with Luis Mario Ochoa, Ruben Vasquez, Hilario Duran, and David Virelles. He has performed with many of the GTA’s best Latin bands, such as Luis Mario Ochoa’s Latin Big Band, Cimarron, and La Moda Eterna. He is also a music educator and teaches at Blessed Cardinal Newman Catholic High School. Peter is immersing himself in the Toronto music scene, and is currently studying jazz at York University. Peter is versatile in a broad range of musical styles such as Funk, Jazz, R&B, Reggae, and Latin. Additionally he plays with other bands, including ‘The Toronto Allstar Big Band’, ‘Phusion Band’, and ‘Plaitwrights/Charleston Relay’. He is also working on his own solo compositions and is exploring techniques with his extended range 11 string bass, upright, fretless, 4 and 6 string basses. Frank has been a vocalist in the Toronto area for over 25yrs. He’s played in several rock bands in the late 80s, touring Ontario, Quebec, and north-eastern US. 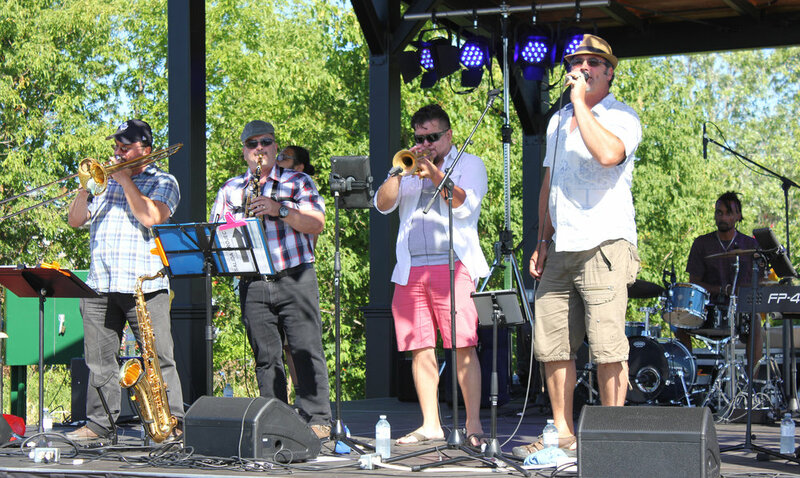 Currently, he fronts the ‘Sugar Rush’ band, entertaining large corporate events in the GTA. Bradley Connor has packed some serious experience into the short time he has been playing music. From starting out in his school's high school band programs, Bradley has gone on to become a well renowned studio and live session drummer in a variety of different genres including rock, jazz, acoustic indie, and R&B. His most recent work includes drumming for the electronic R&B artist Iskwé on her 2016/17 Canadian tour. Joshua plays several styles of music, specializing in Latin, Big band and Funk. He has plied his craft throughout Ontario, and has toured in various Caribbean countries and US cities. Locally, he’s played many venues, most notably at the MMVAs and the Juno awards. In addition to being a performer, he is an educator in the York Region District School Board. 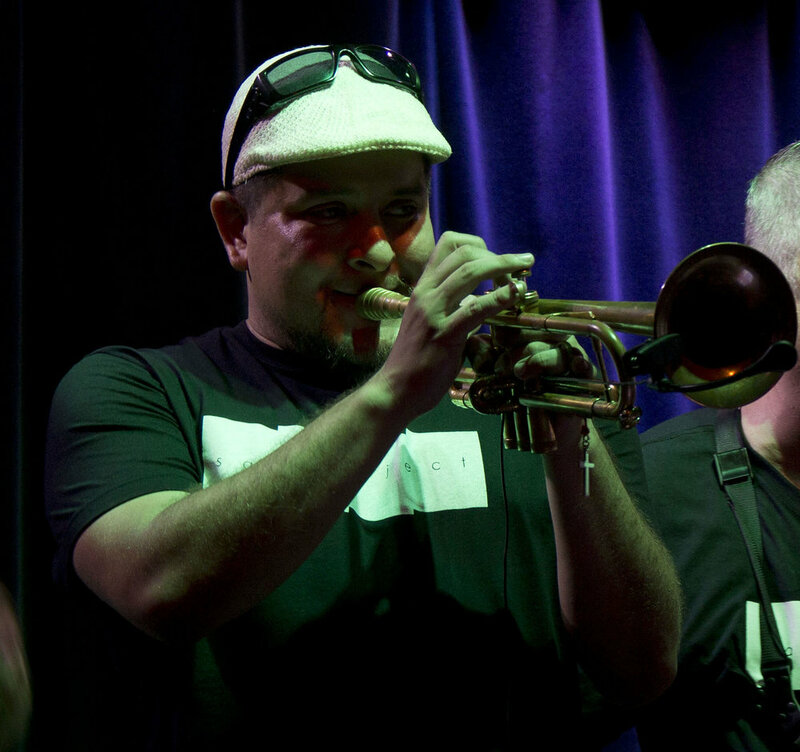 Rob is a veteran horn player who has played in various ensembles throughout the GTA. He performs in all genres of music, but is principally drawn to Jazz and Jazz-Rock Fusion. Edrik is a ‘Fender’ guy. He has played the guitar since he was 9 yrs old. He loves playing all genres of music but considers himself mainly a rock-style guitar player. His influences are Guthrie Govan, Paul Gilbert, and Joe Bona Bonamassa. Thanks for reaching out to us! We'll get back to you within 24 hours.